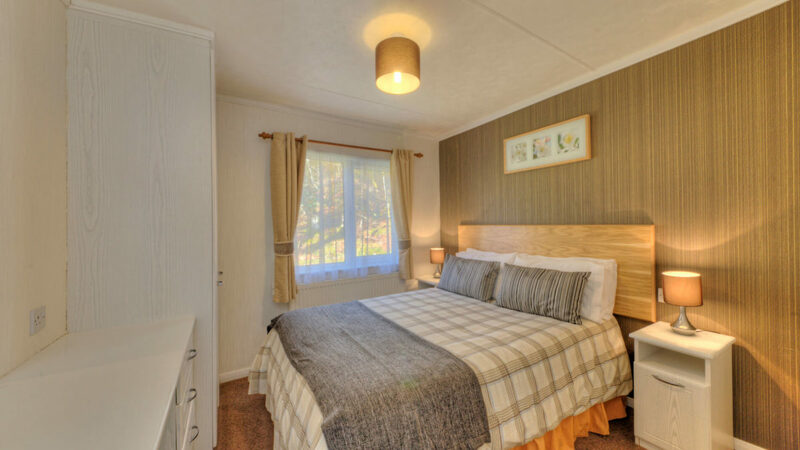 With their open plan layout and warm, cosy soft furnishings, our luxury 5 berth Willow lodges are the ideal place to wind down and relax. 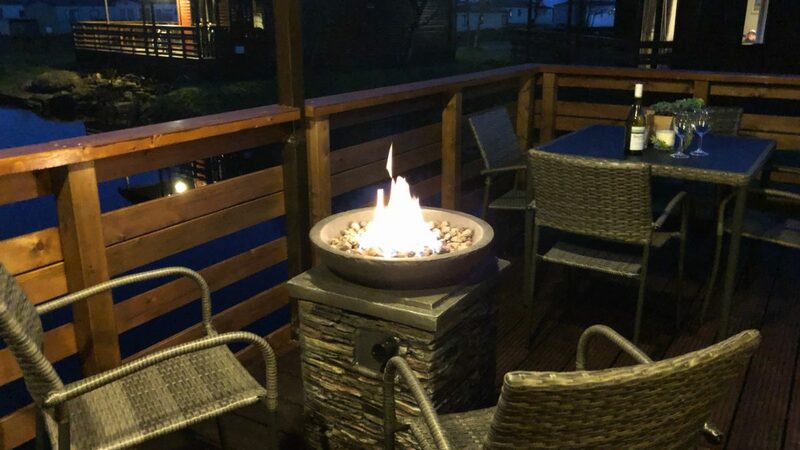 From the living room, French doors lead out to a large deck with a fire pit and patio furniture - perfect for al fresco dining and a bottle of wine. 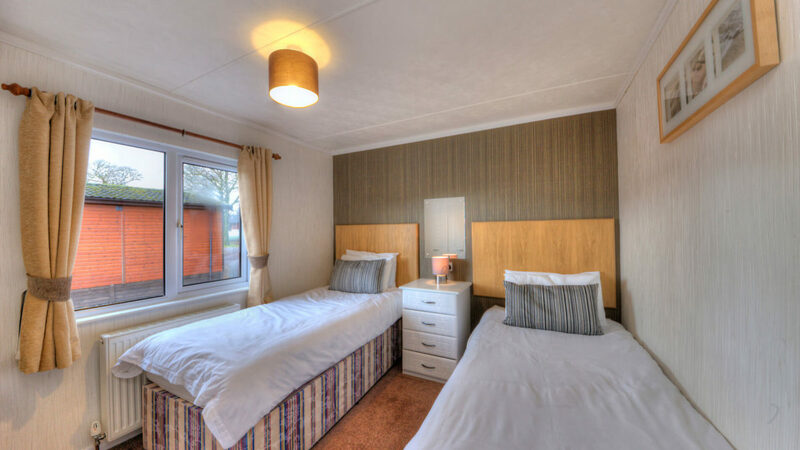 Inside, there are three bedrooms: a master bedroom with en-suite shower room, a twin room, and single room with a separate bathroom. 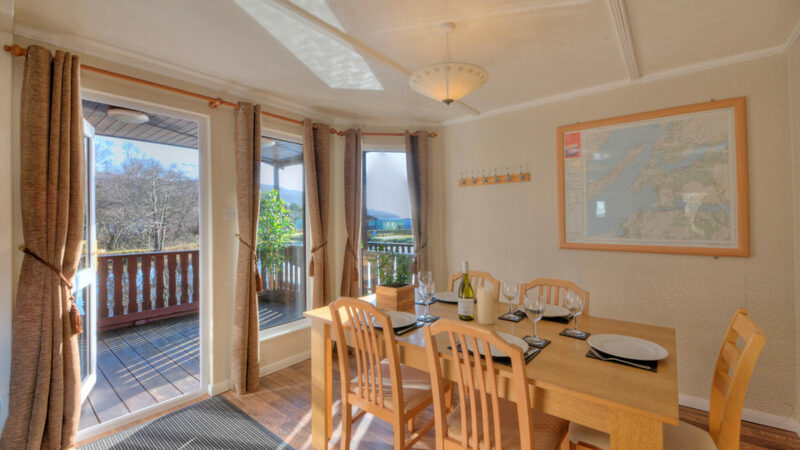 The fully fitted kitchen, with dishwasher, is thoughtfully equipped for all your self-catering needs. 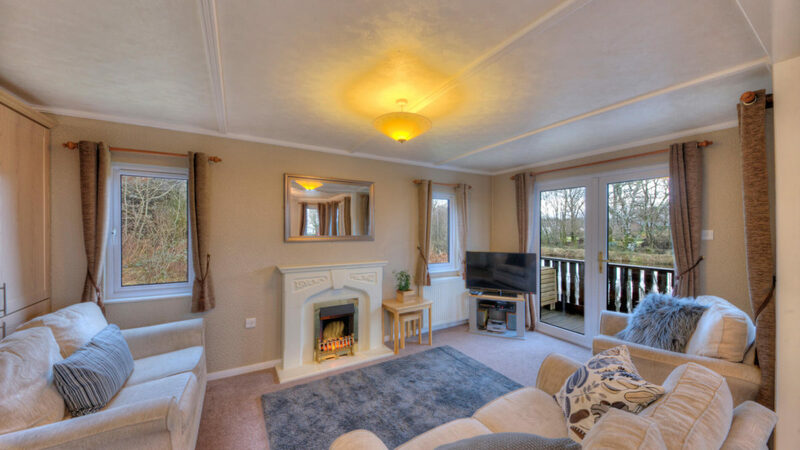 The spacious dining area is perfect for enjoying your meals and a jigsaw or two. 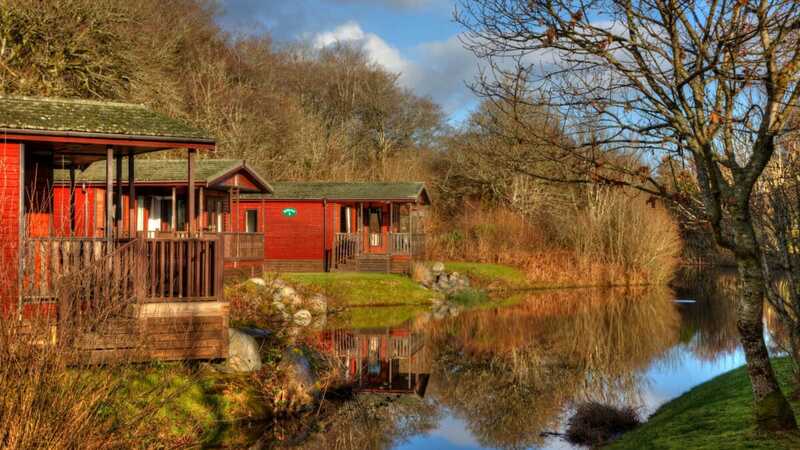 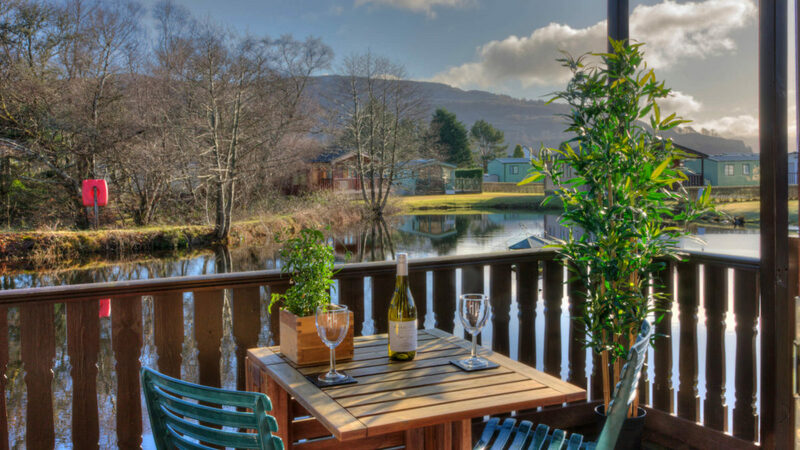 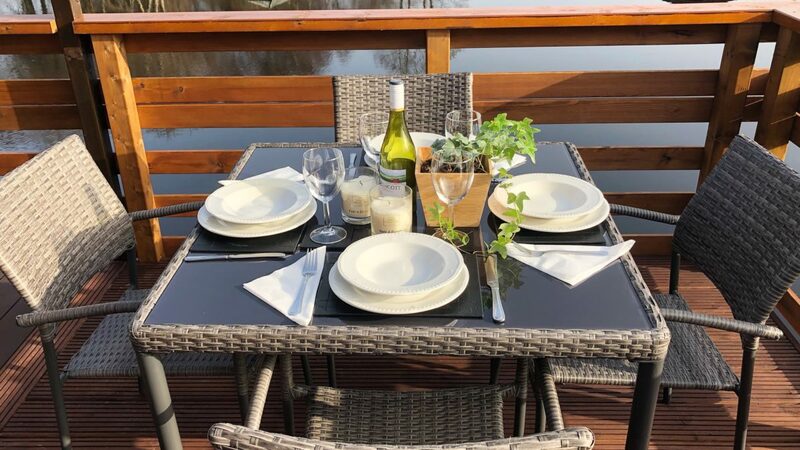 Our luxury 5 berth lodges come with a choice of water frontage over the beautiful Willow pond or a stunning sea view.